Starting by using PMBOK® Guide , PRINCE2®, BABOK® Guide, SIX SIGMA as the main worldwide standards, our training programs describe and practice the best approaches, methods and tools according to the AGILE-SCRUM and LEAN SIX SIGMA methodologies too. In order to 100% cover a permanent practical approach, the main concept of our trainings is based on a mix between case studies, role plays and coaching, mainly using the client project concept. What's more, we have developed large and specific "smart templates" and software applications (MS Office® and MS Office Project® platform) to address the practical approach: Business Case (including financial analysis), Project Plan, Project Planning - Monitoring and Control - Evaluation, Status report, Change Request and so on. All our training programs are evaluated by Project Management Institute, PMI® and are listed in the R.E.P Directory. Each of our training programs provides a number of PMI® educational credit (international recognized). For many, many years, companies at any business levels understand that efficiency, in conjunction with high quality results, must be the focus. 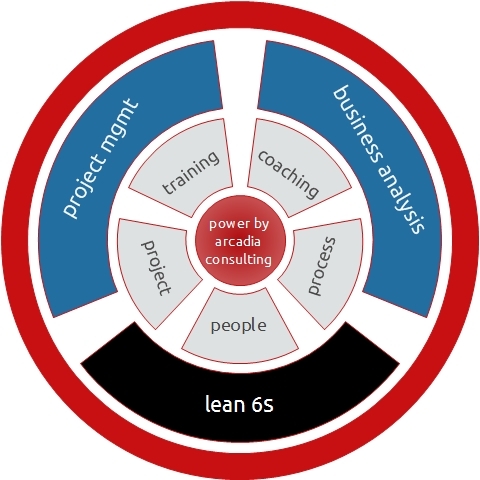 Besides the process-based approach, PROJECTS are the main framework used to deliver unique results. Basically, we need to understand the Project and to learn how to run it! We can run the projects in a waterfall way according to the PMBOK® Guide or PRINCE2® approach or be more flexible in an AGILE SCRUM PM way, but more than this, we MUST have a WAY. That's why, everyone involved in a project should learn how to do it in an efficient manner, learn PROJECT MANAGEMENT. The ESSENTIAL PM TRAINING series cover a complete and practical approach of any project type and project management style. According to the modern business view, BUSINESS ANALYSIS is the main support for selecting, developing, and implementing high impact projects. Looking through the "business eyes", BUSINESS ANALYSIS is the missing link between the project and its business client and the Business Analyst is entirely responsible for finding the optimal solution to the client problem or necessity. That's why, the Business Analyst join the project stakeholders as a PM fully partner. Concerning the fact that BA's analytical, technical and communication skills become a "must be" in every top company, Arcadia Consulting developed high quality and practical training programs.